Original Content: Gail Gauthier Visits James Thurber or Pictures From My Vacation! I wish I had known you would be so close to me-- I would have had you to dinner! Even though I live about half an hour from the Thurber House, I've never been there. Thanks for the tour! 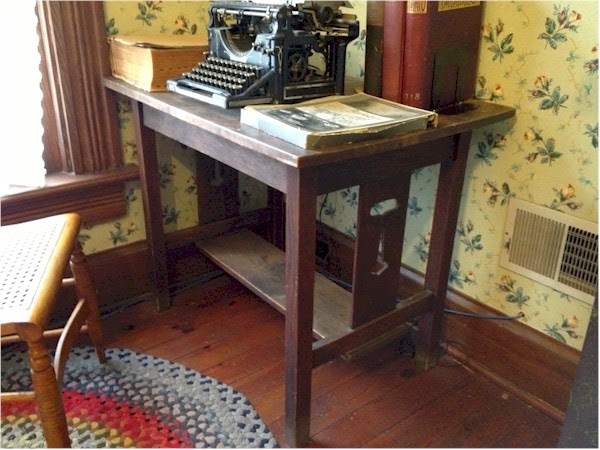 Oh, I should totally do that my next vacation - visit an author's house! Just... Google where one is, and go. What a great idea! 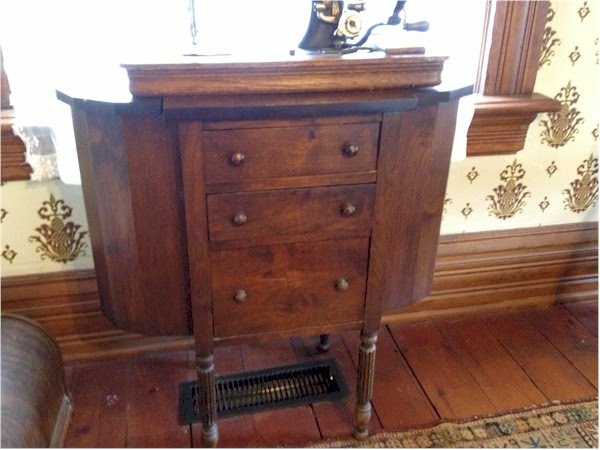 Also, great furniture taste our JT had! Karen--Then we would have had an authentic Midwestern meal. A charming young waiter outside Cleveland told us that hamburgers are Midwestern. 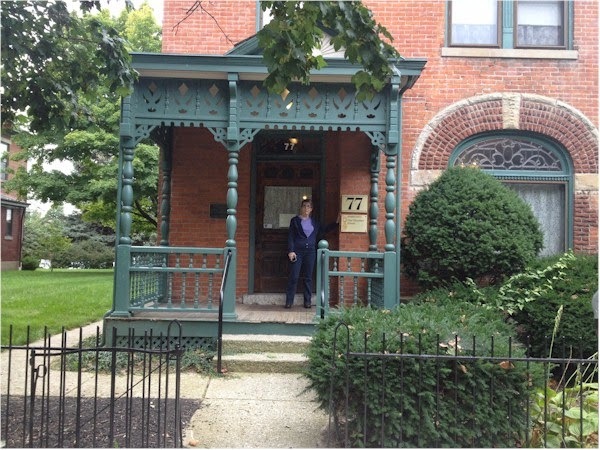 We were only in Columbus for the hour it took us to tour the Thurber House. We stopped on our way from Cleveland to Dayton. We live about a half hour from the Mark Twain House in Hartford. We've only been once, and that was after living here for years. Tanita--I don't remember how I got started visiting author homes. We're about 2 hours from Concord, Mass., home to the Transcendentalist writers and the woman who wrote The Five Little Peppers, and I've been all over that town. About 10 years ago, we did the Maritime Provinces and hit the home that was the setting for Anne of Green Gables while we were on Prince Edward Island. That's the only reason I've read Anne. I read it on that trip. What a great visit! I wish you'd come while I was there in July. We could have had tea in the parlor! The five weeks I spent there were so, so special. I was very sad to leave, even the ghost. I would have loved that, too. Did you stay there in the attic apartment?